The Financial District, located at the southern tip of Manhattan, is named so due to it being the home of huge major financial institutions, including the New York Stock Exchange and the Federal Reserve Bank of New York. Anchored on Wall Street, NYC has been dubbed the most financially powerful city and the leading financial center of the world. However, it goes without saying that this part of Lower Manhattan had suffered greatly in the aftermath of 9/11 but in recent years is being steadily revived with an influx of great bars, restaurants, and newly renovated apartments that offer stunning views of both the Hudson & East River. This resurgence has led to an increased interest in this part of Manhattan so, we put together a guide to help you keep up with the ever-growing FiDi area. A big revitalization factor of the Financial District is that it is so accessible from any part of the city. With Fulton Center being a transient portal to 2345, AC, JZ trains, and with underground connections to the 1, E, R, W & PATH trains. No matter where you are, Queens Midtown, Brooklyn or Jersey City, you’ll have no problem getting downtown or getting back for that matter. While you’re there, take a moment to explore the Fulton Center, hailed as downtown’s Grand Central. One World Trade Center is clearly the biggest landmark in downtown Manhattan. The tower, at a height of 1776 ft, is the tallest building in the Western Hemisphere, and the sixth-tallest building in the world by pinnacle height (the height being a reference to the year of American independence). The tower soars towards the sky and is home to One World Observatory, which offers sensational panoramic views from its sky-high perch. On a clear day, you’ll be able to see all five boroughs and some surrounding states. Tip - get your tickets in advance, there’s no off season when it comes to these sprawling views. It doesn’t matter if you’re a tourist, commuter or a born and raised New Yorker; no visit to downtown is complete without paying your respects at the National September 11 Memorial & Museum. While the memorial is a moving tribute to the victims of the attack, a visit to the museum is essential to truly understand that horrible day. 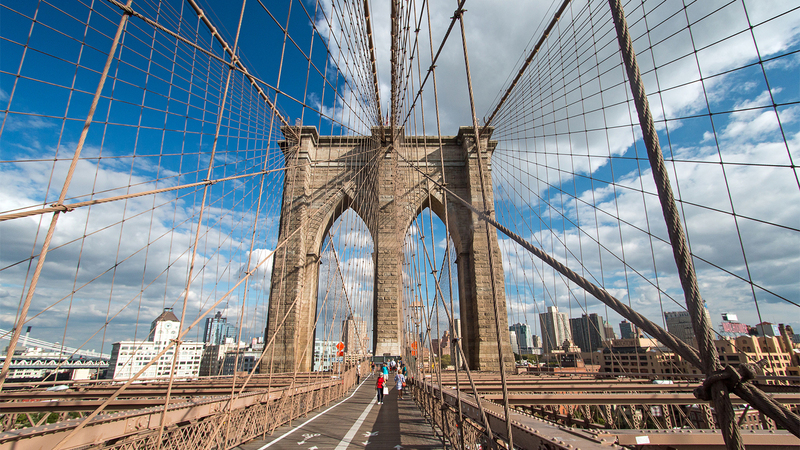 If you’re coming to the Financial District from Brooklyn, we recommend getting off the train in Brooklyn and walking the Brooklyn Bridge. If not, start on the Manhattan side, walk to Brooklyn, hook a U-turn and walk back to begin your exploration. The Brooklyn Bridge, a New York icon that connects Brooklyn and Manhattan, was the first steel suspension bridge to grace the earth. When opened in 1883, the 1596 ft span between its two support towers was the longest in history. Now you’ve got the history, it’s time for you to venture along its walkway, taking in the incredible views of Lower Manhattan, the East River and the bustling Brooklyn waterfront. Battery Park skirts the southern edge of Manhattan and is a thing of beauty. Although the park gained its name from being the first ‘battery’ of cannons (erected) by the Dutch, there is nothing war-torn about the beautiful 12-acre oasis. The public art, the meandering walkways and perennial gardens entice a large crowd, particularly during the warmer months. The historical tributes also draw a crowd with a Holocaust Memorial and Irish Hunger Memorial sites present in the park. 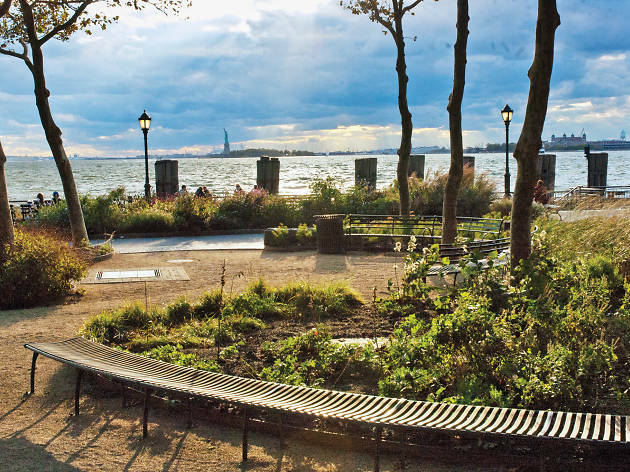 Battery Park is also your stop if you’re looking to catch the ferry to Ellis Island or the Statue of Liberty. Escape into a den of fine dining at The Tuck Room with its soulful, modern shareable plates infused with vibrant flavors. The menu has been personally crafted by Sherry Yard, an award-winning chef, creating a synergy of culinary art and thoughtful hospitality. Getting down to business, we recommend the Brisket, Short Rib and Chuck Burger with Bone Marrow Aioli and Candied Bacon or the Crispy Chicken Schnitzel. Tuck in and enjoy the unique New York dining scene. If you’re hanging way downtown around South Street Seaport, quick eats is the move. Best place for it? El Luchador. A super cool taqueria, FiDi’s best kept secret. The fish tacos are the go-to here, but really you can’t go wrong with any of the fare they have on offer. For an area that doesn’t have a lot of great options to chow down, this is a diamond in the rough. 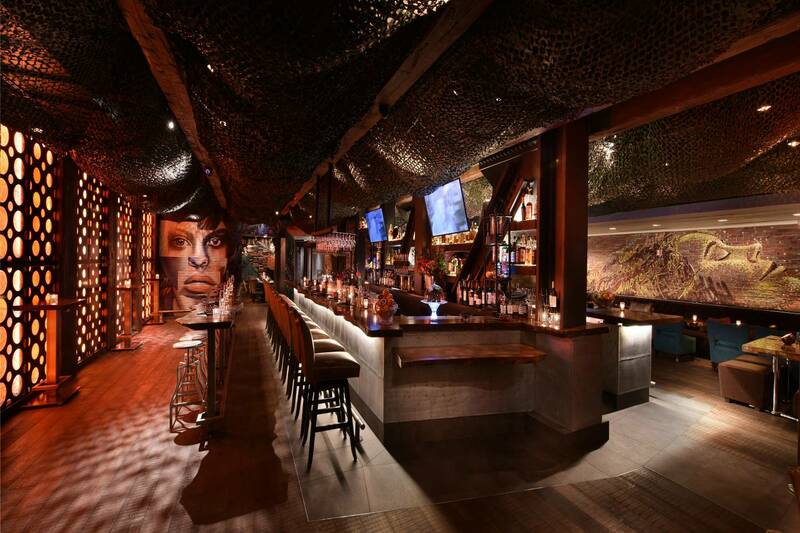 The Dead Rabbit - the go-to drinking hole in the Financial District - frequented by visitors and New Yorkers alike. The award winning bar (crowned the World’s Best Bar in 2015 & 2016), exudes a soft and serene atmosphere that is juxtaposed with its serious drink menu, never failing to create an unforgettable experience. Although the pride and joy of the bar is its extensive list of Irish whiskeys,don’t let that focus deter you, as their cocktails are equally exceptional - the Cheshire Cat is a good start. From setting to service, The Dead Rabbit is simply remarkable - as befitting a recent holder of the title of World’s Best Bar. Yes, The Dead Rabbit has been the best bar in the world on numerous occasions but you’re still in for a treat at Mr. Cannon. 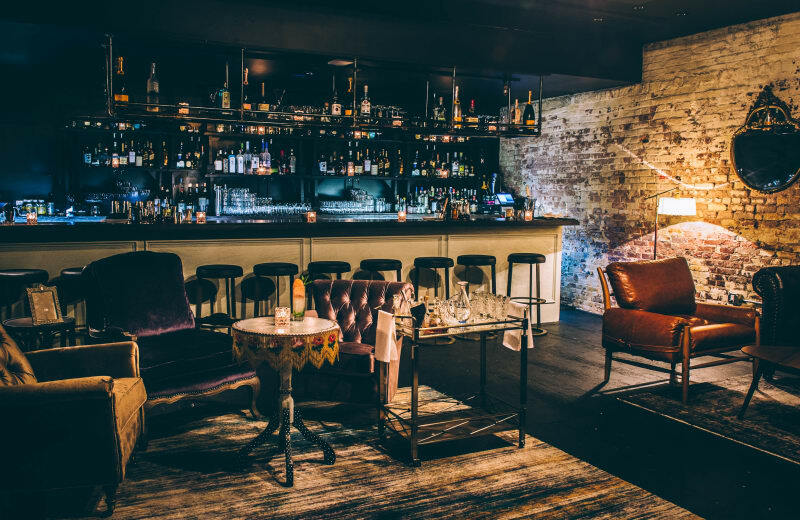 Unlike most speakeasies nowadays, this one is exposed by revelers down the block or bouncers guarding the door, but rather in an empty courtyard and into a back alley. Your eyes will soon lock in on a glowing doorbell. Ring the bell and out will come a bouncer who will grant you access to the eclectic space. Head straight to the bar to get your cocktail fix with the mixologists crafting all sorts of magic such as their Havana-style mojito. Get your drink on and revel in the vibey slot. 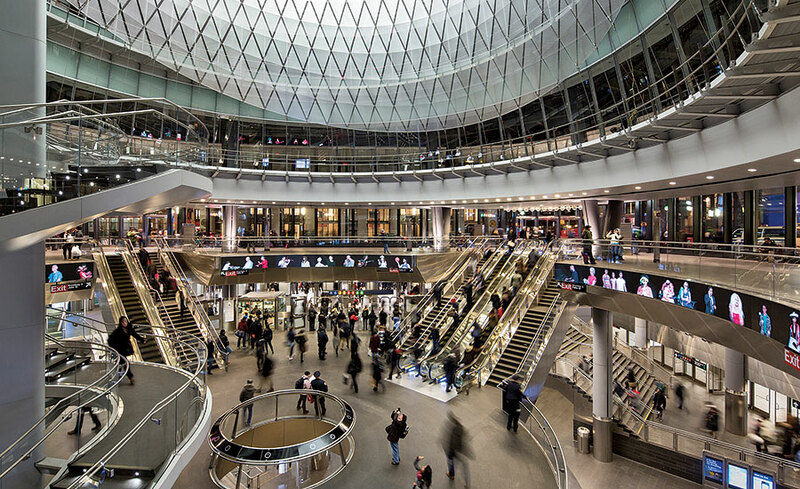 The Oculus is the world’s most expensive train station so it makes sense that they threw in a brand new mall with it right? A stunning piece of architecture created by Spanish architect Santiago Calatrava to look like a dove in flight which houses a number of designer stores like Breitling, COS, and Dior. Not bad for a train station right? 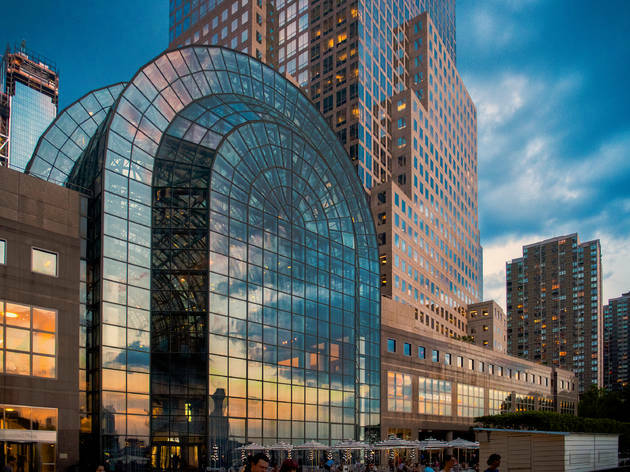 There’s something for everyone at Brookfield Place. From label-loving fashionistas to fun-loving foodies, this one-stop mecca is all you need in one spot. The luxury stores such as Burberry, Gucci, & Salvatore Ferragamo are there to cater for your high-end needs. If you want to keep it low-key you can pay a visit to a Rite-Aid to pick up your essentials or stop off for a quick gym or spa session at Equinox. Hungry after a tough workout or de-stressing spa time? No need to leave Brookfield, just venture across to Le District Marketplace if you’re a francophile, maybe one of the many eateries in Hudson Eats catches your eye instead? Either way, you’ll have no shortage of options! Tip - hang around to catch the sunset over the Hudson River. Do you want to be part of the FiDi resurgence? Then come along to our SpeedRoommating events in Manhattan to find your place. If you live in the Financial District, let us know some of your favorite things to do in the area!